Moretown is a typical rural Vermont town, defined by her extraordinary landscape of hills and valleys, and peopled with caring, resilient, and proud people. When the rains of Tropical Storm Irene caused our rivers, the Mad River and the Winooski River, to rise and inundate our neighborhoods, when our village had to be evacuated, when our post office, town office, and elementary school filled with flood waters, when our bridges were compromised and roads washed away, we had one thing going for us that some other towns did not – a digital infrastructure and a citizenry who knew how to use digital tools to communicate, to organize, and ultimately, to continue our long-term recovery. Moretown was the recipient of round two e-Vermont funding that established, among other things, Front Porch Forum, a robust digital network for our residents, digital workshops and training for our residents, computers and wifi access for our town library, and an invaluable partnership with Digital Wish, providing each of our 4th, 5th, and 6th graders and their teachers with netbooks and training for how to learn and teach with them. Without our own local news station, newspaper, or radio station, typical of so many rural Vermont towns, a platform such as Front Porch Forum proved to be vital when we needed it the most. Moretown only had Front Porch Forum for a few months and it was slowly growing. Town officials were embracing it and posting agendas for upcoming select board meetings, some neighbors told of yard sales and extra eggs from their hens to give away, but many weren’t sure of why we had it, or what its purpose was. 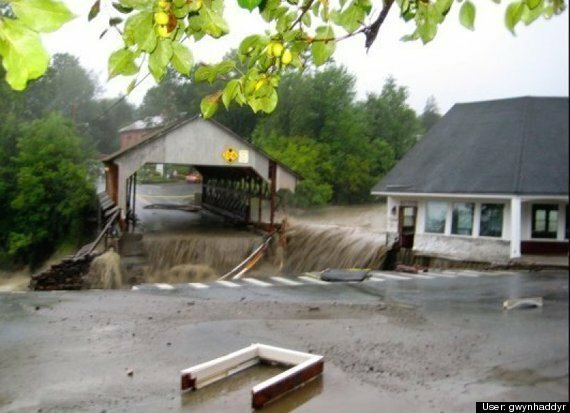 That changed in the days and weeks immediately following Tropical Storm Irene.